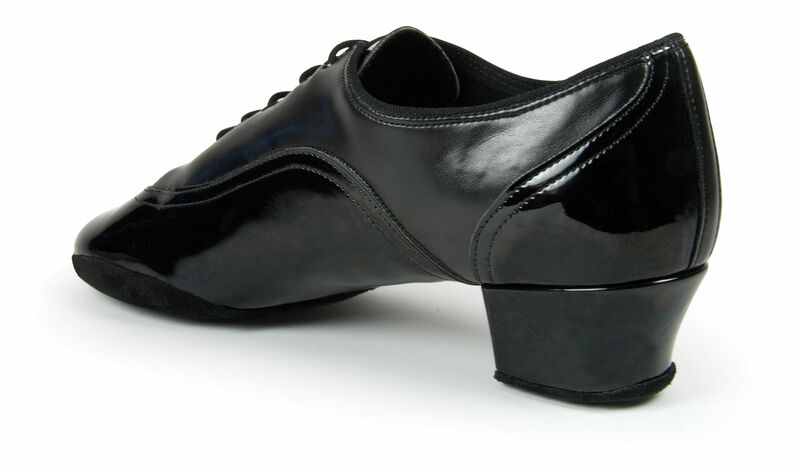 The Jones Patent Latin Shoe is is a stylish and contemporary Men’s Dance Shoe worn by both Professional and Amateur champions worldwide. It is super-soft, ultra lightweight and the ultimate in flexibility. 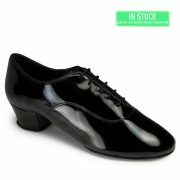 It is one of our best selling Latin Shoes in our Men’s Ballroom Collection here at Duo Dance London and is suitable for Competitions, Medal Test and Examinations. 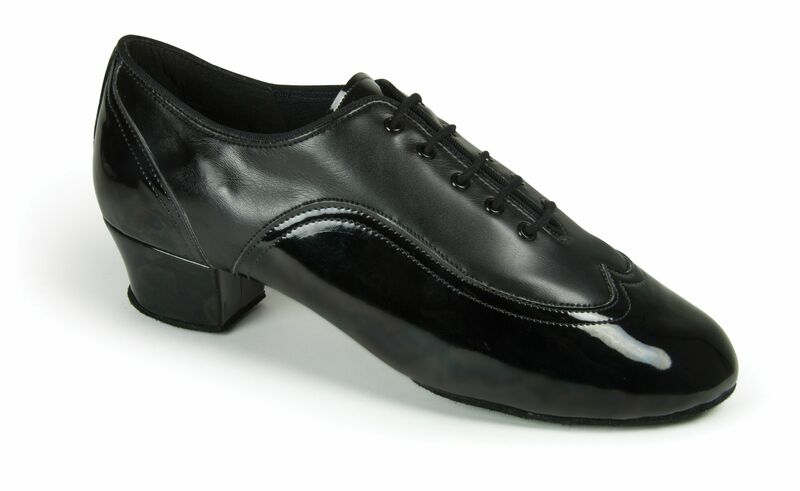 The Jones Patent Latin shoe is available in a stylish and popular combination of Black Calf and Patent. As with Contra PRO the sole comes up over the lip of the shoe providing less slip and a smoother glide. It is a split sole shoe to allow the dancer to fully extend and use the feet to the maximum. It comes in UK sizes 5.5 – 12 and a 1.5″ heel. If you would like the higher 2″ heel, please email us at info@duodance.co.uk and we will amend your order. As a “made to order” shoe, it will then take 2-3 weeks to manufacture. Worn by: Neil Jones (UK Professional Latin Champion), Gunnar Gunnarsson (UK Professional Latin Finalist), Zi Long Wang (Hong Kong Professional Latin Champion), Nikolay Govorov (World Ten-Dance Champion), Daniel Juvet (UK Professional Latin Finalist), Joel Lopez (Amateur Latin Champion), Eugen Miu (Denmark Junior Latin Champion), Lloyd Perry (World Under 19 Champion).